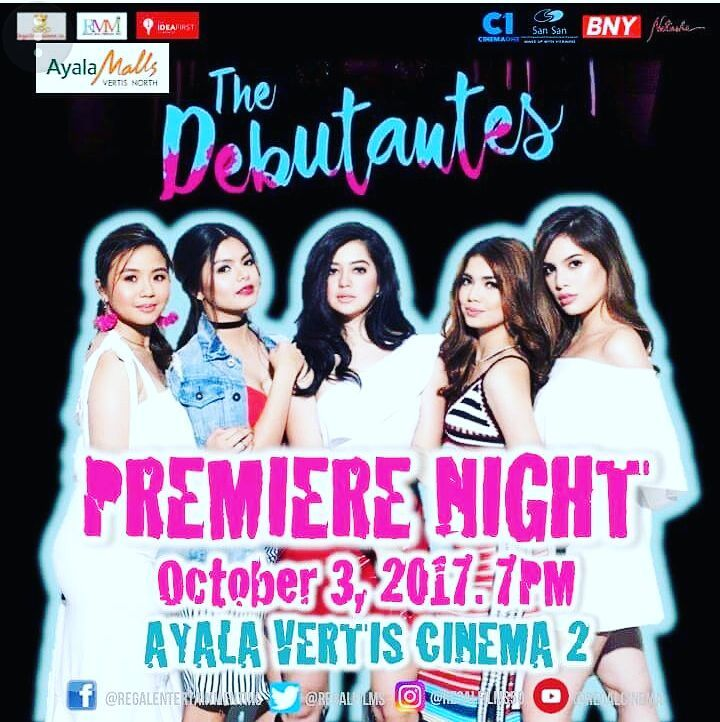 ‘THE DEBUTANTES’ had its premiere at Ayala Malls Vertis North Cinemas last Tuesday. It was our first time to visit it and it’s very classy. Amir Prescila, head of Ayala Malls Cinemas nationwide, told us that Vertis North is the Greenbelt Makati of the North, while their Trinoma Mall is the equivalent of Glorietta. The premiere was held at the biggest theatre with 400 seats and with a giant screen. They have two other theaters with 100 reclining seats. The trailer of the coming films of Regal were shown: “Recipe for Love” starring Christian Bables and introducing Cora Wadell, directed by Joey Reyes; “Haunted Forest”, a horror flick meant for the Metro Filmfest, directed by Ian Lorenos; “My Fairy Tale Love Story”, a fantasy romcom also meant for the filmfest with Janella Salvador and Elmo Magalona, directed by Perci Intalan; and “This Time I’ll Be Sweeter”, a romantic drama starring Barbie Forteza and Ken Chan, supported by Thea Tolentino and Akihiro Blanco, directed by Joel Lamangan. 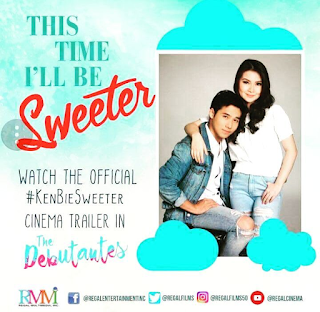 The trailer which excited us the most is “This Time I’ll Be Sweeter”. Both Barbie and Ken register so well on the big screen. The story starts with them as students with Ken breaking Barbie’s heart, then they meet again when they’re professionals (Barbie is a broadcast journalist) and the same thing happens again. Both Barbie and Ken are so good in their scenes together and we can’t wait to see this movie. It was supposed to be shown on November 1, but two horror films are already scheduled there: OctoArts' "Spirit of the Glass 2" and Star's "Ghost Bride", so they just moved it to November 8. In “The Debutantes”, Sue Ramirez gives a very persuasive performance as the lead character, Kate, a nerd who is bullied in school and humiliated in Jane de Leon's big 18th birthday party. What Jane and the other girls don’t know (Miles Ocampo, Michelle Vito and Chanel Morales) is that Sue has a deep dark secret that will make them regret what they did to her. We cannot reveal anything else as it will be a big spoiler. Writer Ruel Villacorta screamed several times in several scenes and we can’t blame him as the boo moments in the movie really jolted many other viewers. We won’t be surprised if this movie would hit it big at the tills if it would reach its target audiences who want a good scare.